This version is easy to throw together, is packed with vitamins and vegetables, is filling without unhealthy calories, and can be stored in the freezer for a delicious supper down the road. So, make a big batch! 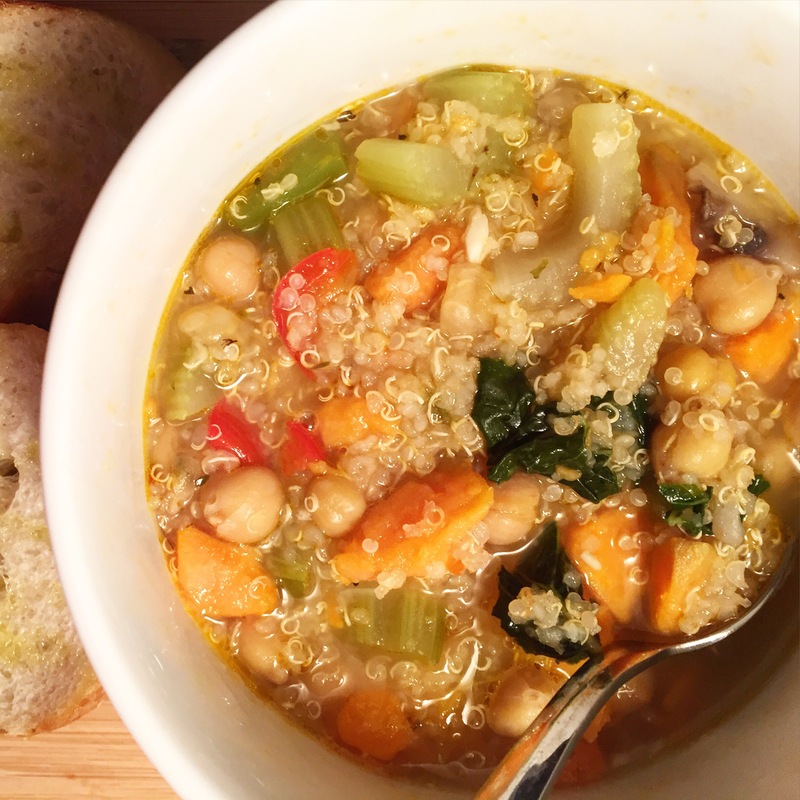 I adapted this great recipe — Fall Vegetable Quinoa Soup — from blog ‘Two Peas in their Pod‘ based on what I had in the fridge already, and it turned out great. Next time, I plan to try adding the tomatoes and reducing the amount of quinoa. You could also use rice or another grain in place of the quinoa. The sweet potatoes truly make the dish, adding a punch of flavour and sweetness! The chickpeas are a lovely addition and pack the protein kick that’s needed. I used Swiss chard instead of kale, and added bell peppers, mushrooms and Italian seasoning. Try pairing it with fresh baked baguette topped with avocado and fresh Parmesan cheese. Enjoy!